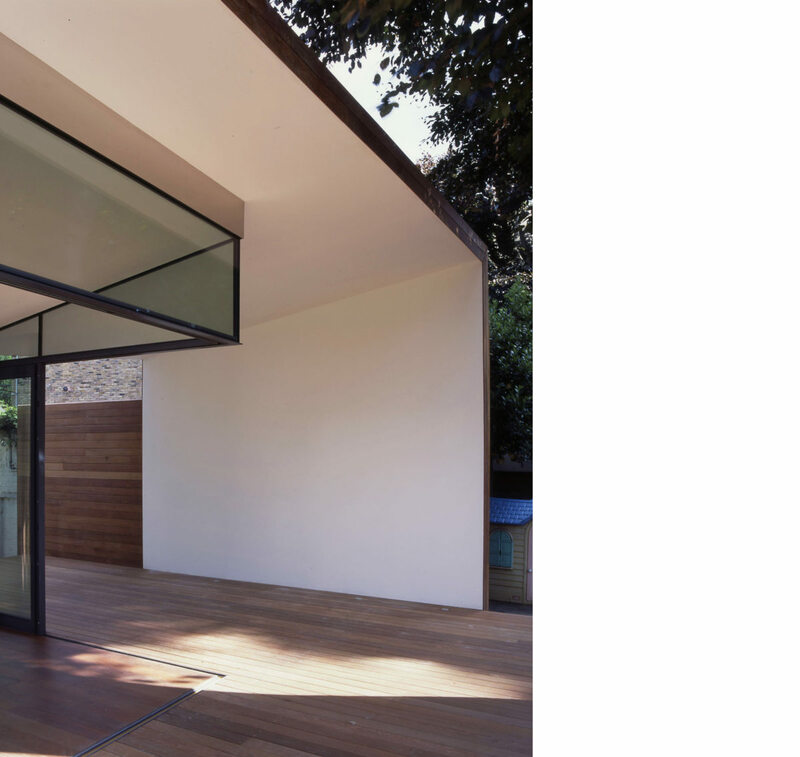 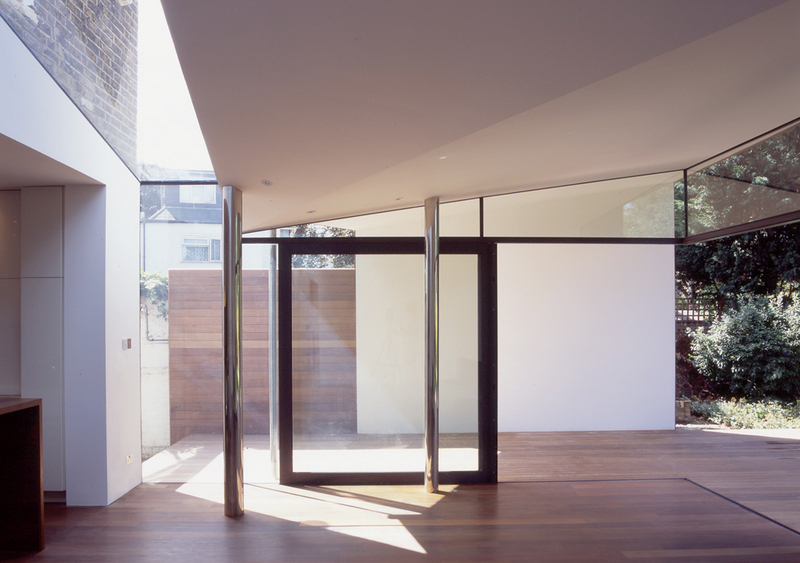 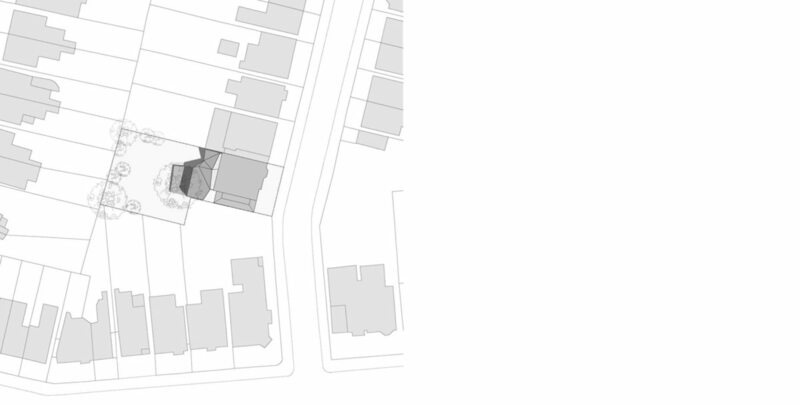 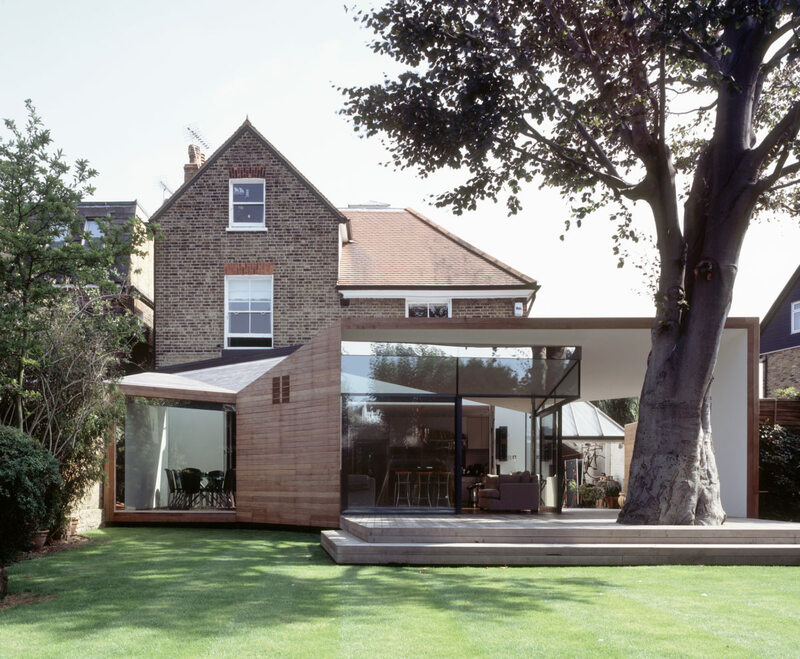 This project is a 100 m² extension to the ground floor of a large detached house providing a variety of new internal spaces that are linked and continuous. 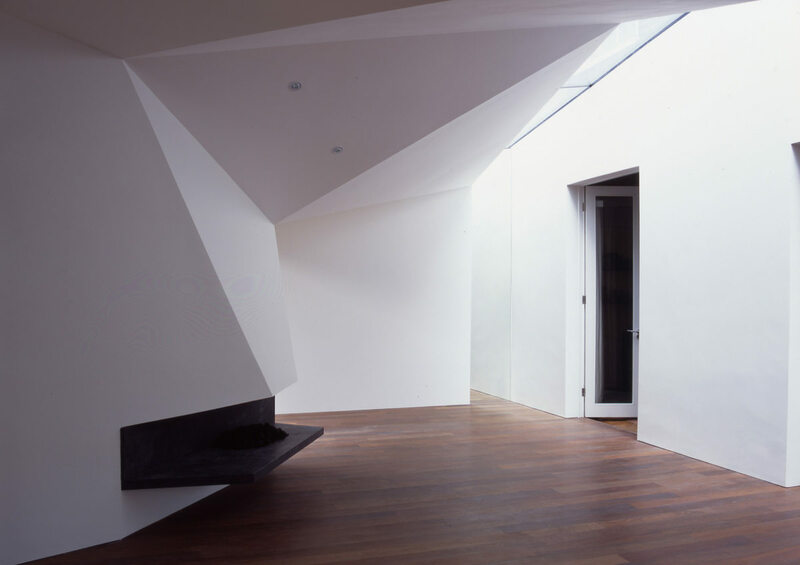 The building is equally interesting as a roofscape, where it is overlooked by the master bedroom. 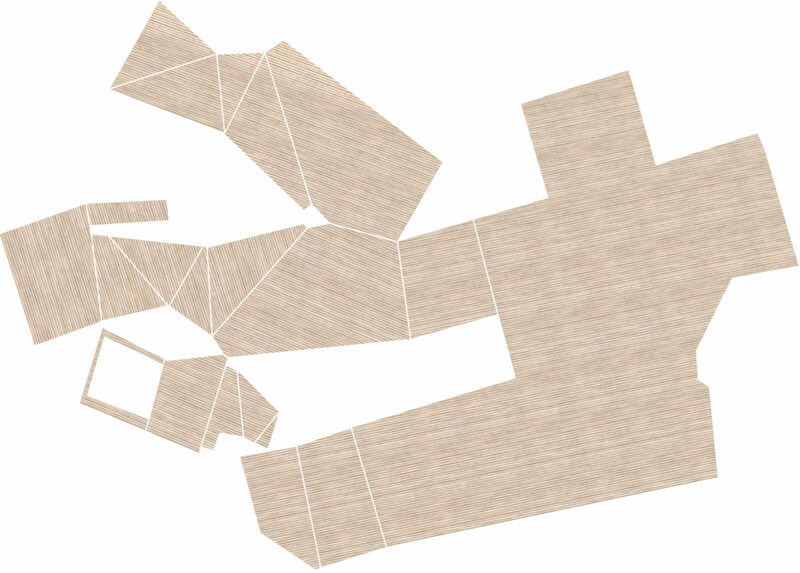 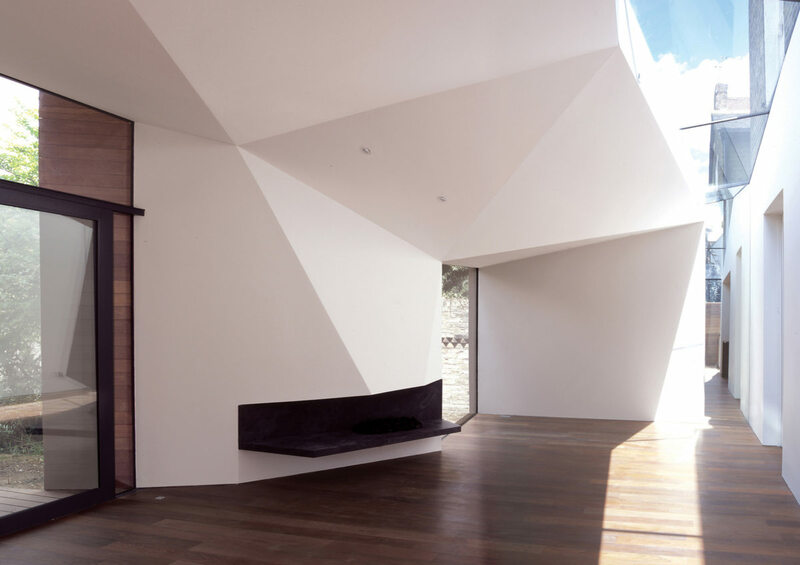 ABA’s response developed through distorting a single surface into a folded ribbon. 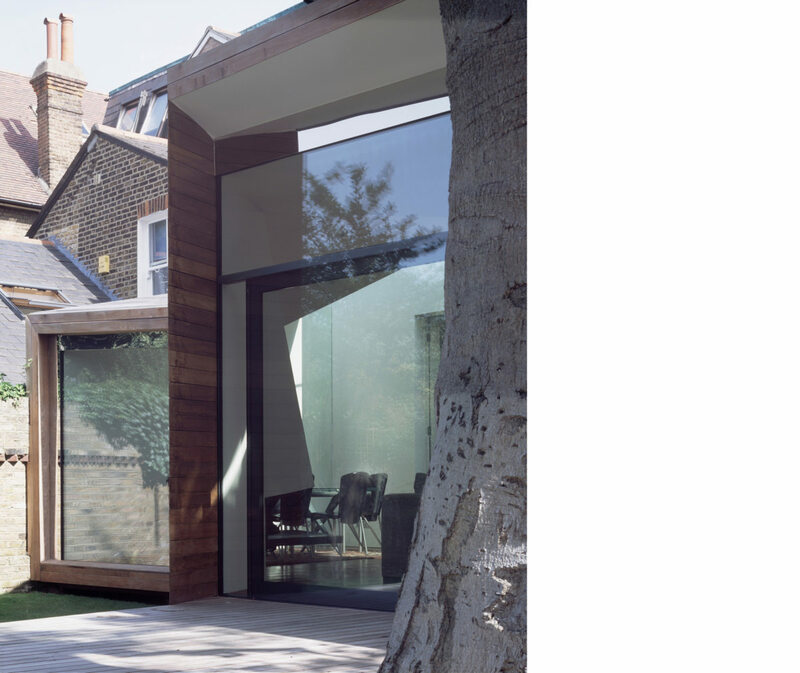 This allowed us to simultaneously control both the quality of the internal spaces and the external appearance from the garden and first floor windows. 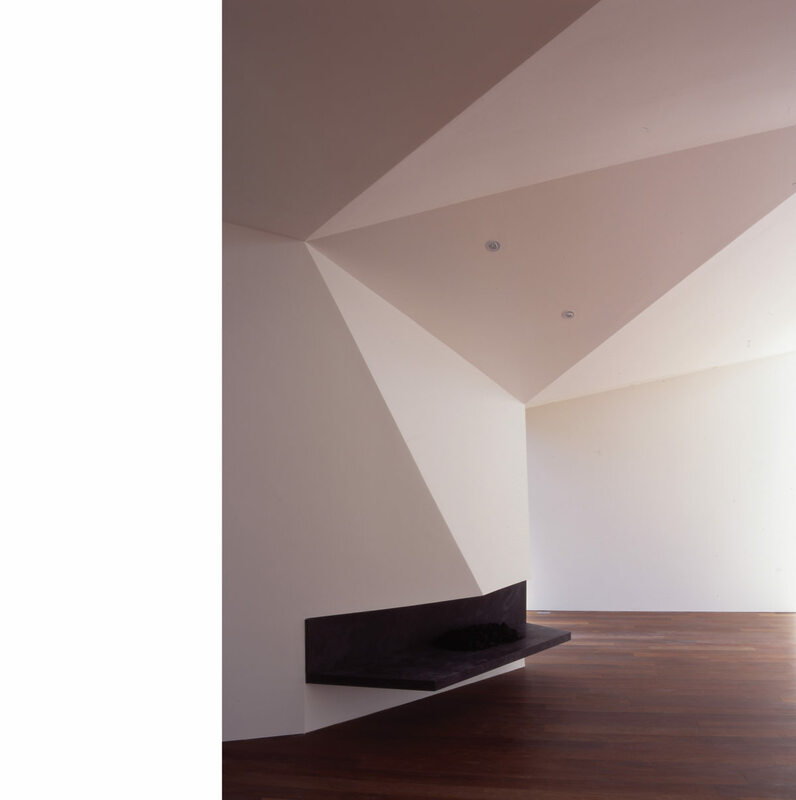 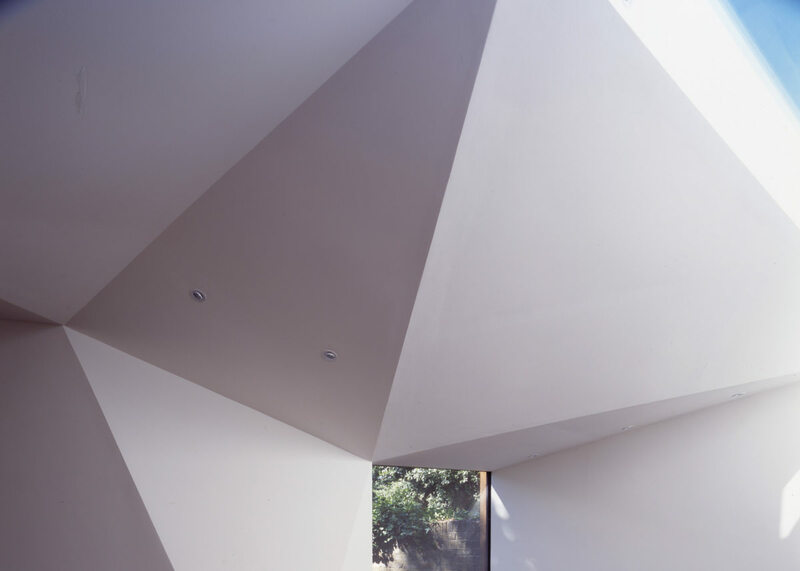 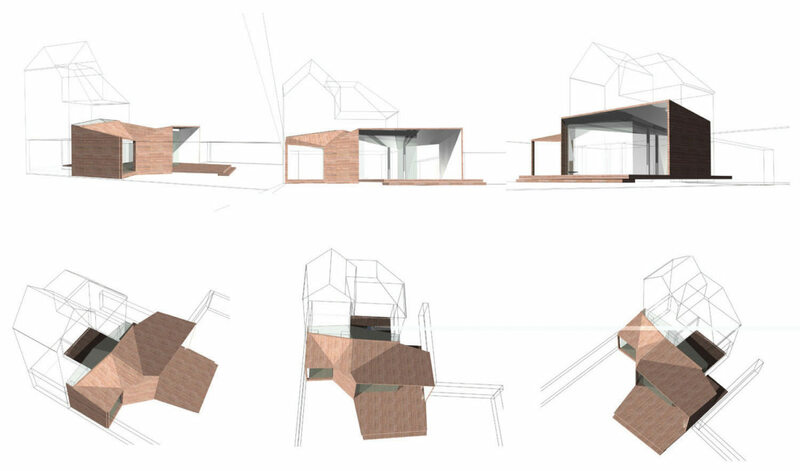 The triangulated geometry of the roof compresses to create an intimate internal area at one end of the building, whilst maximizing the view of the garden from the master bedroom window. 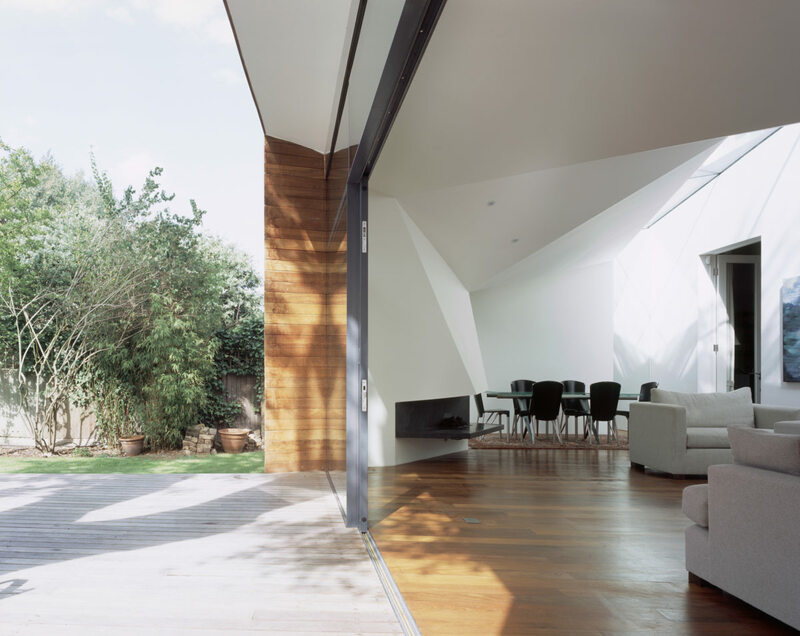 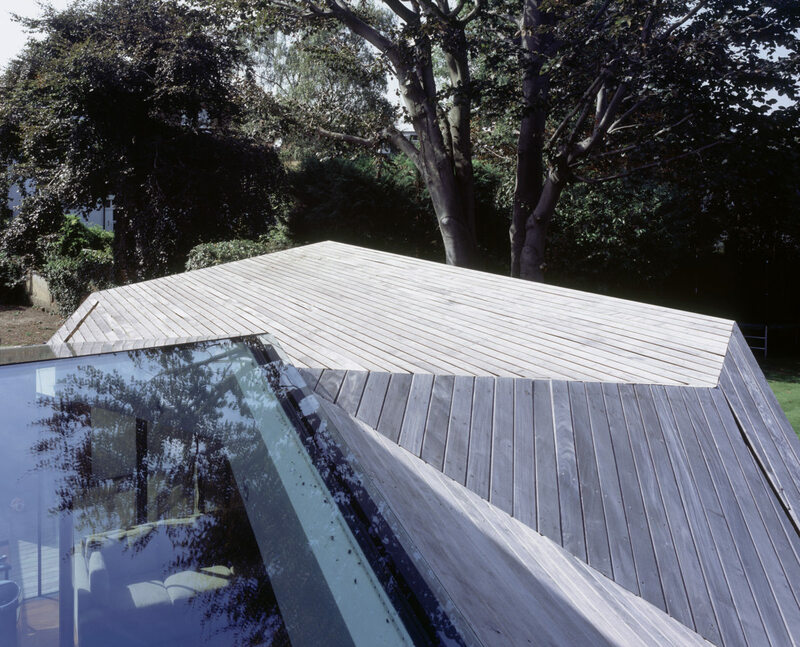 At the other end of the building, the roof folds upwards to offer views into the garden and up into the existing tree. 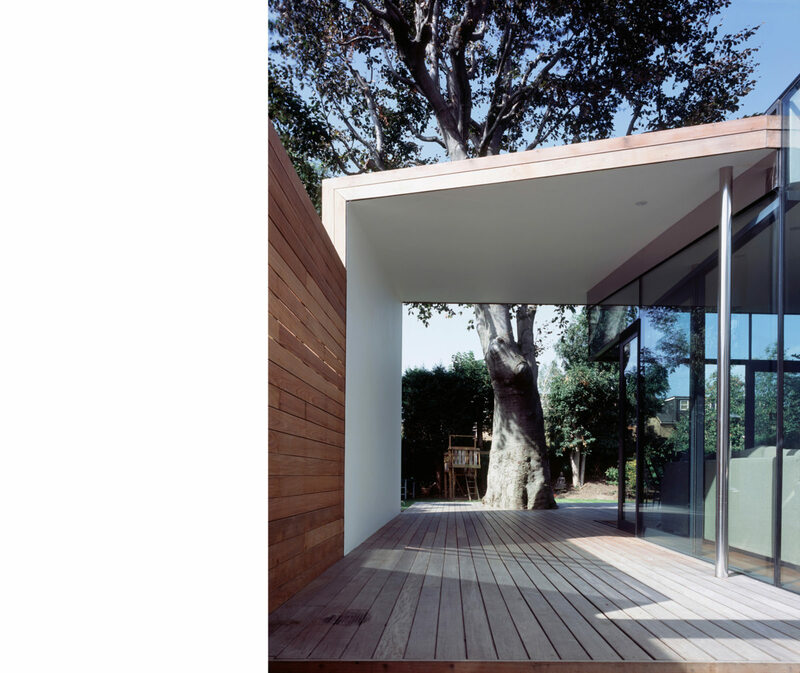 The building’s skin wraps down to the side of a centrally located fireplace to form an outdoor timber deck. 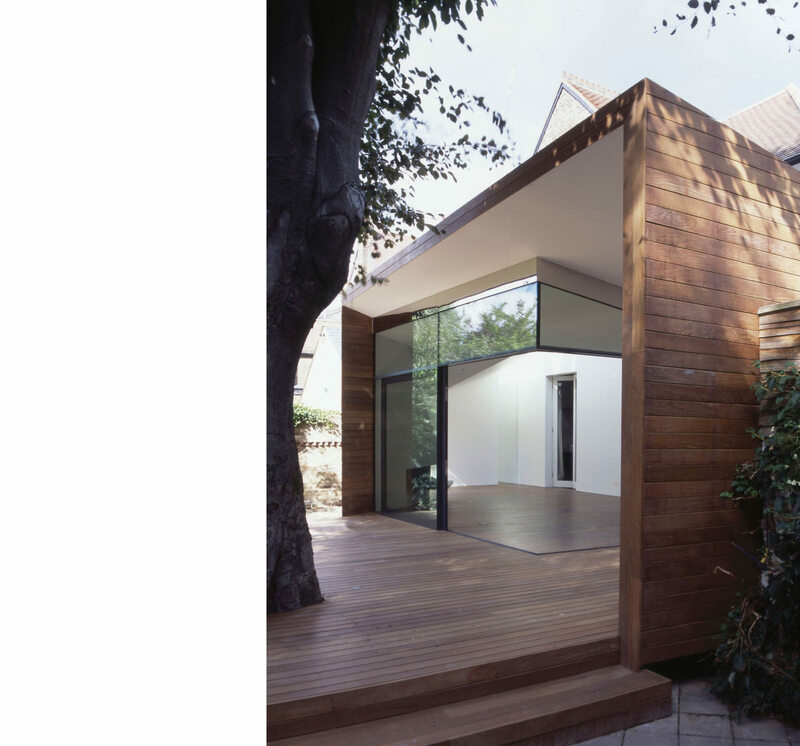 The deck spills out into the garden and turns into a storage room and barbeque area. 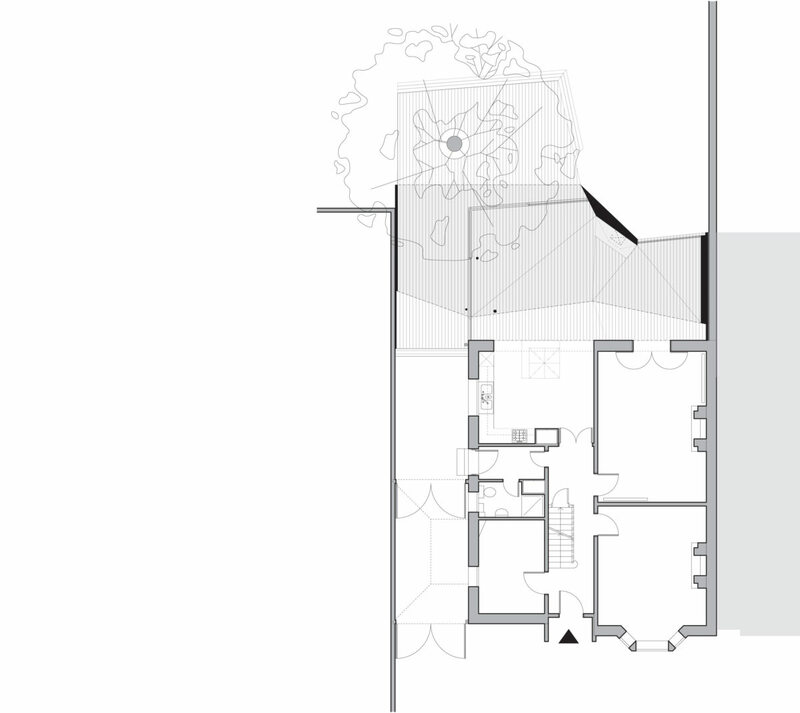 ABA used a series of geometrical shifts to achieve an integrated relationship between the building’s structure, skin, and internal spaces. 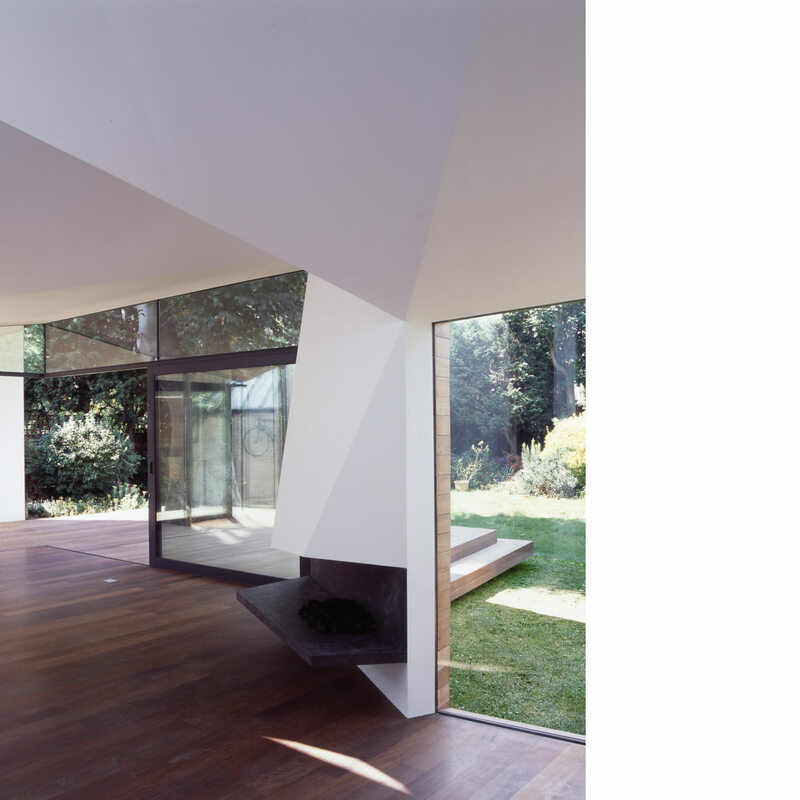 Manipulations of all three elements occurred until they stabilised and resolved into one crystallized form.